Even in this digital age, the humble business card is still a huge and important necessity when it comes to succeeding in business. It’s also not just your average everyday business people or companies who need good quality business cards; celebrities do too. In this 5-part mini series we will look at a select few famous people and their choice of business card designs from a design perspective; why do they look the way they do? 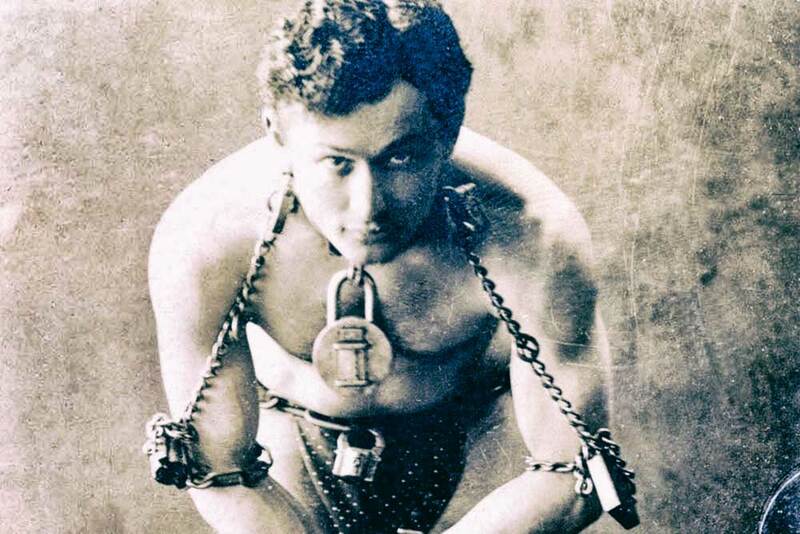 In part one we will take a look at the unique business cards owned by the infamous illusionist, Harry Houdini. 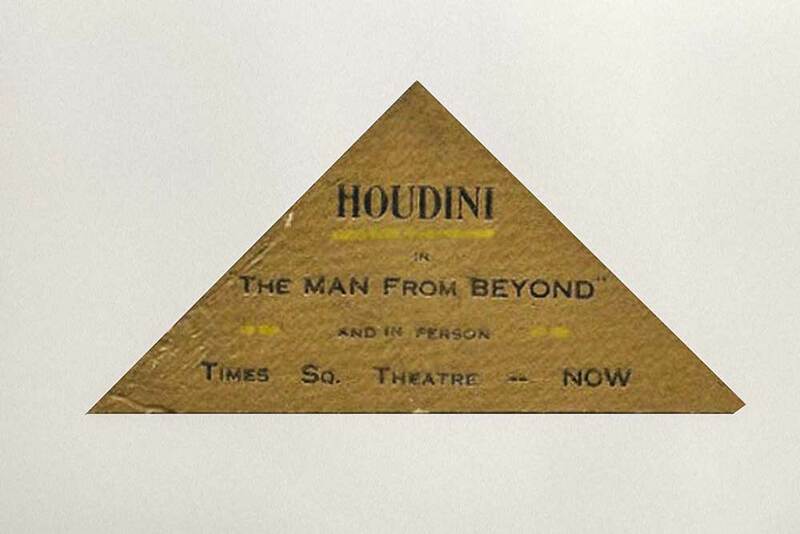 At first it seems strange that Houdini would even have a business card, but then why would this be strange? He’s a businessman after all, out to make a living like the rest of us. Famed for his incredible escape acts and his variety of other stunts, there aren’t many people alive today who haven’t heard of him. But this wouldn’t have happened just by magic (please pardon the pun). He will have needed to spread the word in some way to make sure people knew about him and his shows and to make sure they wouldn’t forget him in a hurry. This is where the business card (shown above) came in. Being an eccentric and unusual man it doesn’t come as much of a surprise that his business card would have broken out of the usual rectangular format. Nor is it a fancy or luxury affair; but it is memorable and wouldn’t have passed unnoticed by anyone who received it. His unique business cards appear to be made out of a cardboard material, which would have saved on cost and given it an appealing, tactile and textured effect. Then the unusual, triangular shape helps to sculpt the hierarchy of the text it displays and guide the eye down through the information in the desired order. It is a well known fact that people’s attention spans are very short when it comes to reading information, and so the more brief the information the better. This card honours this rule gracefully by using a very simple, structured layout and using only the most vital information. Using letterpress he has displayed his information using only two different typefaces, which keeps the design uncluttered, and the information easy to digest. Lastly he highlights and flanks aspects of the type with yellow accents which helps pull everything together in a visually pleasing manner. This card serves as a custom business card, a flyer and a memorable keepsake all in one, simplistic yet effective design. Keep an eye out for the next post in the series on Andy Warhol’s creative business cards. if you are looking for a some creative business cards for your business, click here to get a quote now! It’s always good to see that even a famous person saw the need to be different when it came to marketing.